Men’s grooming advice, tips and best rated products. The 2019 Best Electric Shaver – With Confidence – Avoid Chin Nips! Discover the best shaver that really works. I’m sure like me, that you don’t want to be the person who bought a shaver (which aren’t always cheap) and found that you might as well have gotten your cat to swipe at your chin a few times instead because of how “average” or below average it performed. Surely there has to be something that’s actually pretty good at giving you that smooth feel time after time? Well, we found out for you. Not to mention quite a few “smooth as a babys bum” moments along the way while testing out these units. Before we carry on, and for convenience we wanted to let you know which is our best rated shaver. The Braun Series 7 790cc stands out easily. Once we had gotten closer than ever before, we deciphered our findings over a few coffees and managed to create this list. Shaving with traditional razors can be a pain in the whotsit for many men, myself included. Some days it’s fun and a pleasure and makes you want to sing while you shave. Some days it can leave you feeling sore and scruffy. A red throat and missed facial hairs is not my idea of a good shave. We decided it was about time a list of the “best of the best” was produced, so with sleeves rolled up we got down to business and began digging around to find out what matters when it comes to choosing an electric shaver.. It quickly became evident who the market leaders were, based on real facts, real stats and real proof. For those of you looking for the best performance paired with the best price then look no further. Over in the ever evolving China marketplace, this “interesting” shaver has been released. Looks good for shaving your fingers?? You don’t need to spend the earth to get a good close shave. Please read our reviews of all 10 because you will find good solid points for all these shavers, and some of them are unbelievably cheap! Price ranges can vary immensely. What makes a good electric shaver (and how did we choose the winners) ? We believe that the main factor influencing a good trusted electric shaver is that obviously it needs to be as smooth and as close a shave as humanly possible, without irritation of the skin. Things such as moisturizer make a great addition to the shaver especially if it has an inbuilt moisturizer part where you just press a button. For many men this has to be a key factor to consider into the equation. Secondary to this are other, less important features such as the comfort of the electric shaver(how it feels to hold), and also how well it performs. We also looked at things like how long it lasted before needing a recharge, and how long the cutting parts lasted. Now For The In-Depth Stuff! We wanted to feature this shaver first. After testing and researching “many” different shavers, one of the old trusted brands has shown some of the new kids what time honoured quality craftsmanship and knowledge can do. The Brain series 7790cc is also our favourite top rated shaver! We believe this is one of the best electric shaver currently, however with an “ever updating list”, this may not always be the case so make sure you pop back here from time to time. You pay more for the clean and charge charging unit (you can buy it without too), but it is completely hands free – pop in your shaver and the next day it’s like new again and completely sanitized. In a conscious world where sterile is the new peace offering, this is just a nice unit you don’t have to pay too much attention to – just knowing it’s kept super clean ready for you is worth it’s weight in Gold. It may take a day or two to get accustomed to, but then you find that after a few uses it quickly becomes an exceptionally good electric shaver and one of our most highly rated within this list. Our favourite! Charge it on a fast charge for 5 minutes and there is plenty of power for a single shave. Alternatively charge it for 60 minutes and you’ll enjoy 50 minutes of continuous shaving – that’s pretty much a full week – so a weekly charge is all you’ll likely need most of the time. When using it regularly you’ll unlikely need to think about replacing the head unit until a good 18 months have passed – that is the official Braun recommendation however if it is still cutting well there certainly isn’t any need to buy another head just out of necessity. It rarely gets too hot, and it’s shape is fairly standard meaning you’ll not really experience any fatigue when using it. We have enjoyed using the Brauns shavers. Yes absolutely. The price is higher than others but the benefits add up and soon weighs in with a convincing reason to get this. It’s going to last a long time. The alcohol cleaning solution can be made to last 3+ months with care by simply removing it from the dock station and closing it up ready for it’s next use. Work like this and it will work out cheaper than buying manual razors. First of all, Braun have been around for decades and this shows in their innovations and technology. Secondly it’s built to last. Despite a hands-free cleaning solution (alcohol based) needing ongoing changing, you can get extend the life of the solution by up to 3 months – and let the machine sanitize and clean your shaver for an “as new” experience each and every day. Price wise it’s not cheap, but if you compare it to the cost of good quality disposable razors, this works out cheaper, so long term this is a sensible investment. No single electric shaver will ever be “perfect” however this goes pretty much most of the way. We like this particular shaver because for a start it is very keenly priced and within most peoples budgets. Second to that is the trusted Brand name behind it. Philips – a name we all know. Protect your skin while you enjoy a refreshing shave. When using a razor, the blade presses directly against the skin and can result in multiple micro-cuts per shave. Although you may not be able to see them with the naked eye, you can certainly feel them! Our Multiprecision Blade System with rounded heads, has been specifically designed to glide smoothly, reducing the occurrence of micro-cuts by up to 10 times. *Test done in Germany 2015, after 21 days acclimation. If you charge it for an hour you typically will receive around 45 minutes worth of shaving time, pretty much a full weeks worth depending on how often you use it. Excellent value for money. Consider the fact that a good pack of razor blades can cost £5 to £10 and last a month, you’ll soon have recouped your initial outlay. Then you’ll find it goes on to last you for many long years with the only other costs being an occasional new head replacement which is estimated to be once every 2 years – so not bad at all! Ok, so here we have an extremely attractive shaver. Stunningly good looking, fully waterproof and to top it off, it isn’t all that expensive either! The Philips 5 series shaver offers affordability and couples that with advanced technology in the form of a multiprecision blade system that helps to reduce hair snagging by 10 times, thanks to it’s unique design. Like all electric shavers, you often need a while to become acclimatized to using it – in some cases as much as 21 days, so you can’t base your thoughts in the first use. Your skin gets used to using it. If you use it regular and frequently you’ll enjoy a nice clean smooth shave inside of 2 minutes otherwise expect your shave times to go up. OK, so this is the big daddy most expensive shaver in this review. Overseas in America the price is comparably a LOT cheaper and with time this may well also be the case but for now we have an overly expensive shaver packed with shaver technology.. at a price.. So, is the Panasonic Arc5 worth the cost? Let’s take a closer look and then list the pros and cons. So, for a shaver that is expensive, we certainly expect a lot, so we want to weigh up the good and the bad points before coming to a review decision on this one. It has all the bells and whistles you’d expect. It also has a fully self contained cleaning system, and it does provide an exceptionally good close shave, much closer than the Philips Norelco. The high speed motor means that tugging and pulling of hairs is a thing of the past, unlike slower shavers out there. On the downside, the cleaning cartridges need replacing every 2 months and the shaver head approx every 1 months to 2 years. neither of these are cheap. You can get away with simply rinsing the head under water, or with a little soap in the shower for satisfactory cleaning, but if you want the luxury of letting the docking station sort everything out for you then it’s a cool gadget to own. If you decide you really love this shaver then there is another even more expensive shaver (classed as an upgraded newer version of this one, but at close to a 4 figure price point we decided we didn’t want to feature it – you can view the upgraded model the Panasonic ES-LV95-S Arc5 here if you really want to! Ok, so in the quest for a super close shave, this electric shaver (like all others) needs a running in time for your skin to get used to it. Typically up to 30 days (claimed by Panasonic) so you need to use it for that long before you can understand how it feels on a regular basis. The price point of this is the downside. In America it is a fraction of the cost, and it seems that the unit is shipped from America (as estimated delivery times are more than a week), hence the extra cost. For a comparable alternative we recommend the Braun 790 cc. 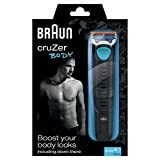 The Braun series 9 shaver, model 9290cc is in our opinion a premium product at a reasonably fair price. It could always be cheaper but it certainly isn’t the most expensive shaver featured in this list. It has a lot of great positives and few negatives although we will share our findings below. If you want to go straight to this product on Amazon click here otherwise continue reading for our findings. A series of 7 carefully tested experiments were conducted with a group of men aged approximately 20 to 30 who all had similar shaving routines. The test involved shaving on a 3 day growth beard, and compared to a handful of other shavers to see which shaver removed the most hair per stroke and which was the gentlest out of them all. The overall results overwhelmingly show that the Braun 9290 9 series shaver removed a significantly greater amount of hair (with a 95% confidence level) than the other shavers. Let’s see what the main features are of this electric shaver. Five specialized shaving elements capture more hair in one stroke for fewer strokes and less skin irritation – perfect for dealing with stubborn facial hairs. Includes the world’s only five action alcohol-based Clean and Charge station that cleans, lubricates and dries your shaver hygienically at the touch of a button. Handy for an electric razor! We really like this shaver. After a poor earlier 9 series, this upgraded model is far better and finally gives the 9 series it’s much anticipated “best” crown. The level of smoothness you get is exceptionally good, for an electric shaver. Like all electric shavers expect a few weeks for your skin to adjust to shaving with an electric over a wet shave. You’ll never really be able to get a shave as good as a regular razor wet shave, however technology is improving and things are getting better each year. This 9 series goes a long way towards that achievement and we highly recommend it. There are various options when it comes to buying. One option is to forget the cleaning station and just go for the basic electric razor with stand and save yourself almost a quarter of the cost or you can go the other way price wise and include an optional premium case. Since 1919 Wahl have expanded their hair clippers into a Global brand selling in over 165 countries. As a trusted brand, you can expect quality and this is true of this the 8061 professional electric foil shaver. Refreshingly, this shaver features just what is needed to perform well, and no fancy extras. Designed to also appeal to professional barbers you will find that this shaver also works extremely well for head shaving and blending in of shave lines. This is meant for “stubble only” and not designed for 3 or more days growth such as with beards. You should work those hairs down to a stubble length before using this. So when used regularly this will deliver the results. Make sure you use light strokes for best results (otherwise you can press hairs in and they may become ingrown hairs). 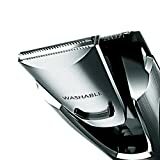 Trusted by thousands, the Wahl 8061 professional shaver really does cut a superb finish! With a 2 hour charge time you can expect to enjoy around 80 minutes of usage time before needing to recharge. For occasional shaving this means most of the time this will last you for 2 weeks before needing to recharge (when used daily). This trimmer has been used to great effect for shaving heads nice and smooth without any irritating nicks or shaving bumps, and helps avoid skin irritations. Experience super close shaves by way of their Hypoallergenic Gold foils made to the highest quality. The foils are thin but they do provide a great finish. The Wahl 5 Star Shaver – The Ultimate Finishing Tool? Although designed with professionals in mind, it still represents exceptional value for money for a good old regular shaver. If you suffer with ingrown hairs then you will need to look at applying a skin conditioner, scrubbing it in, perhaps with a soft toothbrush to exfoliate the skin and begin removing dead skin layers then looking at a pre-shave routine as in the guide at the bottom of this top 10 list. No extras included in with the package. Suitable as a regular shaver, it also does a lot more (and is designed to do so). Thankfully the trusted Wahl name is behind it. We like this because compared to many others it is really well priced. You do get at least the Wahl reliability -thousands of barbers around the world use Wahl stuff, and that’s for a good reason. Why not delve into the wonderful world of Wahl yourself. Is this the best electric shaver for sensitive skin? Let me start by saying don’t let the cheap price put you off. It’s one of the cheapest (and most comfortable electric shavers) in this list (and for that reason it managed to slip into our coveted top 10 best shavers list. The Remington PF7500 offers a refreshing different look at shavers. Sometimes cost is not necessarily an issue, especially when you can pay as little as a fifth of the cost of other shavers. It’s time to re-evaluate what you “truly” need. Despite what you might think, this shaver actually performs exceedingly well, and is great for sensitive skin. The PF7500 comfort electric shaver offers a great quality shave, great build quality, although we do wonder how long the beard trimmer may last as it appeared a little flimsy. Other than that we like this unit (and did we say it’s low price too?). Additionally Remington claim the unit offers 50 minutes of usage time off of a single 120 minute charge however we have noticed usage times being almost double that – it might simply be that our unit had a better battery, however it is handy to know that manufacturers estimates may well only be that – a best guided guess. The price of this unit does not make sense. Shavers shouldn’t be this good for this price? It really is priced lower than a lot of competing shavers. The handy low LED indicator lets you know when it’s getting ready to be recharged, so just keep an eye on that or aim to recharge it on a weekly basis and you should be good to go. It’s not waterproof so not suitable for shower use. Use it as a dry shaver, and just make sure you clean the head after each shave and that’s all you need to be aware of in all honesty. The lithium battery ensures plenty of use between charges – while we cannot say that all units will end up working for nearly 2 hours between charges, the Remington guide is 50 minutes so it’s best to go with that. Our unit lasted close to 100 minutes – maybe just a fluke but we were impressed! Each shave is nice and tight with 5 to 10 minutes of shaving. Just remember not to press on to your skin too heavy (as is the case with any electric shaver) – if you’re struggling to get to some hairs, then it’s most likely because they are laying flat and need to be stood upright which will then make it easier to shave them down – more info on proper pre-shave preparation can be found in the guide at the bottom of this top 10 list. The Braun series 3 electric shaver is one of the most popular wetdry electric shavers (and a best seller at that!) on Amazon (see for yourself). The price point is typically anywhere from £40 to £60 on average and so makes for a great first foray into the world of electric shavers. I have personally owned this unit for more than 2 years with no problems whatsoever. Initially I would push it as hard as I could onto my skin to try and get “super close” and this would then lead on to skin irritation with sensitive Red areas as you can imagine. I then switched to using a wet razor blade (Mach 3) but at £14 for a set of 3 or 4 blades the costs soon mount up and this is what prompted me into wanting to get this list created – to find a better way. As with all shavers the key is not to press too heavy to but ensure good pre-shave prep is carried out. This shaver will never win the “incredibly close” awards for removal of facial hairs – and very few shavers can afford to say that – other than the 9 series Braun, however you can certainly get a good clean decent shave good enough for the day when used regularly. Fully charges in 1 hour for 45 minutes of use, while a quick 5 minute charge will be sufficient for 1 shave. Features a 3-level LED display indicating a low charge. Top notch with pretty much zero negatives. The only minor personal quibble is the slider switch for the beard trimmer. You do have to push your thumb onto the switch with some strength to then slide it up when used in the shower although it’s fairly easy when used dry shaving – it could be a little easier however. It does everything you want although does leave a few stray hairs which you’ll need to go over again – or you can improve the results with better pre-shave prep work (see the guide at the end of this list for details), or simply shave for longer. Like all shavers your skin does need a few weeks to adjust to using one and then things improve with shave time and results. Having personally had this for 2+ years it still performs flawlessly and for that, and the amazing price, it had to be included in this top 10 best electric shavers list. Others trying this shaver also report in general very positive results, when used on a daily basis. Well worthy of being your next shaver. The UJS 972 electric shaver is a new brand who are going places and in all the right directions. They are based right here in the Uk who deal in a wide range of things, including electric shavers. This 972 rotary razor model is a premium offering that has much the same as other high end shavers at triple the cost. We wanted to find out more about these guys and so we got in touch to explain we were going to feature them in a top 10 best electric shavers list. As we spoke to them they were busy on an overseas trip to China working closely with developers for upcoming products (probably having their facial hairs cut at the time of writing!). I wanted to find out about replacement heads and approximate costings for any replacement parts. Turns out the heads cannot be replaced, but the blades within the head CAN be replaced, and these blades are absolutely tiny in cost – they should be way less than £5. This shaver just keeps on getting better! Stunningly good looking and some great features? Too good to be true? Overall, our feelings are that we will be seeing a lot more from UJS. This product is fabulous and worth every penny. Ensure you shave using the right shaving technique (keeping skin tight). This routine involves starting out with hot water then applying a suitable pre-shave lotion, then shaving, then a suitable aftershave such as Witch Hazel (barber recommended) – full details of this pre shave routine can be found at the end of this top 10 best shaver list. We truly love this. It is stunningly good looking. It has a cool digital display that tells you how many minutes of charge you have left which we feel is pretty good. The whole body is IPX7 rated as completely waterproof so you can safely submerge it underwater for cleaning purposes. The replacement blades are incredibly cheap to purchase. It certainly gives a great shave, however the company is new, so just something to think about, however we feel they are worth supporting. Here is the UJS 220 electric rotary cordless shaver that can be used as a wet shaver or as a dry shaver, and it is an exceptionally well rounded, well made performer – and “considerably cheaper” than premium branded shavers on the market. UJS are a new company based in the Uk but they are certainly innovating in impressive areas – especially their shaver range. We have decided to feature two of their offerings here after being mightily impressed with their performance and the company’s track record so far. The 220 shaver is lower in price (under £50 typically) than the 972 and features the 3 double ring cutting blades which have the individual reflex action (i.e. independently moving) that help ensure you get a closer shave time after time. A single charge will give up to 45 minutes of usage time which is pretty much a good 5 to 7 days of shaving on average. Just pop it on charge after you’re done once every few days and in no time it will be good to go again. Just remember that most electric shavers will never shave as close as a wet razor, however if you follow our shaving guide at the bottom of this page you can certainly improve the results you get – it’s worth a read as there are some essential pre-shaving things you can do to help the shave be smoother and get more hairs on the first pass. Switching to an electric shaver does require a few weeks of skin adjustment, so you do need to persevere (and follow our best practices in our guide at the bottom of this top 10 list). This particular shaver delivered really good results for us. Some of us used it as a wet shave and insisted it gave better results while the rest of us followed our pre shaving routine and also got great results. This shows that proper skin care is a vital part of your shaving routine and should be maintained so that you always keep on top of your shaving routine. The shaver has been built in China but developed by UJS (a UK company) under their strict quality controls. The good points are that a lot of these Chinese shavers are actually very well made, and do compare very favourable to other more expensive shavers. When the blades begin to dull, you can have the blades themselves replaced for pennies – easily under £5 (advice given to us by a UJS director during a recent conversation with them). On a personal basis, I like the 972 from a style point of view, plus I do like the fancy digital counter display, however the 220 offers a great shave at a great price. We could leave it at that and tell you to get your order in but there’s more you need to see. Let’s look at this handsome device. This shaver is designed for travel and is a no frills, no fancy extras shaver that delivers some serious weight. Being battery operated (there are batteries included with your purchase), you can use it right away. Pop it in your travel bag, in it’s handy zip up pouch and maybe pack a spare set of batteries if you want. Typically you will generate 60 minutes worth of shaving time – plenty for 2 weeks away when used every other day. There is no side burn shaper or beard trimmer as this is simply intended as a shaver, and for the price you just can not beat it. With testing we’ve found it to be an excellent shaver. Why pay 10 times the cost when all you need is an adequate shave and nothing else? If all you need is access to a quick shaving system a few times a week then this makes so much sense. There really aren’t any drawbacks, apart from perhaps it is battery only, and that it is dry shave only and that there is no beard trimmer, so if that meets with your expectations then it represents superb value for money. We know of people who have used nothing but travel shavers for 15+ years! While it is true that electric shavers continue to advance thanks to technological advancements from the main developers, you also pay a hefty premium to take advantage of those advancements. Yes they will give you closer and closer shaves, but until perfection is attained, you typically see that a wet razor shave still outperforms an electric shaver. An electric shaver still has it’s place though, and with a good solid pre-shave preparation routine (found in the guide at the end of this top 10 list) you can get fantastically close shaving results – and for that you don’t need to fork out all your hard earned money when you can get great results with most electric shavers. This handy travel shaver lives up to expectations, and you wouldn’t expect any less from Philips. Anyone can buy a shaver and move it around their face and base an uninformed decision on how good the shaver is, but there is quite a bit more to it, and a few things you need to know to make your electric shaver the best it can be. Shaving. A bit of an art form? How to shave with an electric shaver. To fully appreciate how good an electric shaver can be, and make the most of all it’s features, you really do need to understand a bit about “best practices for proper shaving”. In other words you need to know how to shave and get the best results. Your skin will hugely benefit from a similar pre-shaving routine if you go along a similar line for when using an electric shaver – let’s get into this a little more. Your skin will shave it’s “best” during dry periods (ie when it’s not hot sticky and humid) – so winter shaving can typically be easier – as the skin is nice, dry and tight. Start out by washing your face with hot water and consider the use of a good “Drying” soap to ensure the skin is as dry as possible – brands like the American “Ivory soap” from Proctor & Gamble are free from many additives and really quite pure – they even float in the water. Do not use a moisturizing soap. You want your face nice,dry and tight. The lubricant to apply is a pre-shaving lotion like Lectric Shave, or a cheaper yet highly effective pre-shaving lotion by Blue Stratos which can be found here for under a fiver. Ensuring your skin is nice and tight really does help shave more hairs on the first pass (makes no difference on the skin type either) . Either use a finger or two to pull the skin tight when shaving or move your jaw when shaving to do the same thing. Just like regular wet shaving shave yourself twice with your electric razor. The first time you should go down along the grain (i.e. typically top to bottom), then return the direction and shave up against it (so shaving against the direction your hairs normally follow). Concentrate on fairly short strokes without the constant rubbing back and forth while using minimal pressure so as not to cause razor burns. When finished you can wash off any remaining pre-shave lotion and you’ll be surprised as to just how close you truly can get! After shaving you should allow your skin to dry naturally or use a soft towel and pat dry without rubbing. Finally, a good quality after shave is key. Now I am not talking about your typical “off the shelf after shave”. These are usually filled with various levels of alcohol content. By now your skin will already be quite dry, so we need to look at something a little more moisturizing. The recommended solution given out by old fashioned barbers is actually Witch Hazel. This will sooth and give a little hydration back to your skin without causing irritation or other skin issues such as spots etc. With electric shavers, try to get the best your budget can afford without going overboard. When purchasing an electric shaver you can choose a sub £100 electric shaver and follow the above shaving guide and get good results, however, investment in technology from the manufacturers means that you do access better features with an increased spend. Better / more blades – all of different types. Faster motors – to avoid tugging at hairs. Nearly all shavers are going to last you quite a few years so you do really want to pick one that you can live with for a few years. Even the shaver heads are designed to stay super sharp for at least 18 months. If you like to shave in the shower then choose a waterproof wet and dry model. Other than that, it’s all about aesthetics really – and which one looks the nicest to you and appeals to you with what features it has got. If you include a good skin care routine and involve some of the above pre-shave prep you will enjoy better closer shave results, and this can be achieved with lower priced shavers, as long as they still give a nice close cut without overheating or tugging at hair. Finally, please remember that everyone has different skin, and skin sensitivity can cause lot’s of problems when shaving with an electric shaver – hence why it’s important to understand your skin and look at a pre shave routine to give your skin the best chance it can have.